All our wooden bed frames are handmade to order by our expert craftsmen using 100% solid wood. Because of this, we’re able to offer made to measure beds. Our expert craftsman use traditional methods to manufacturer beds to order by hand. If you’re looking for made to measure beds, then this is the additional product you require in your shopping cart to make bespoke changes. We can make shorter and longer beds as a unique size from what is usually available as standard. Ordering your solid wood made to measure bed is simple! Choose the appropriate size bed to match. Please note that this is only used for "dimension" changes (e.g. altering the length, width or height of he bed) and does not include any additional timber components or unique alterations which would be charged extra. 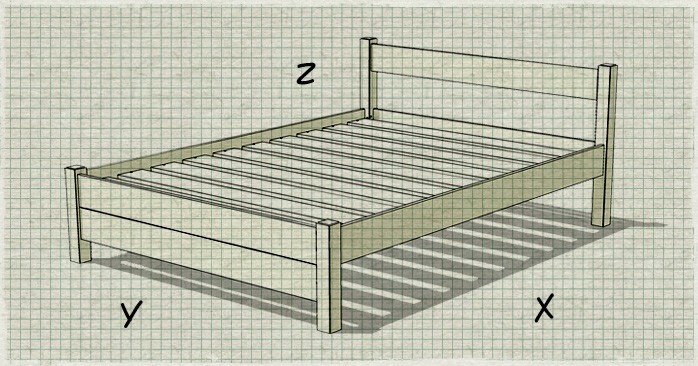 All our Wooden Bed Frames can be changed (within reason) to suit your requirements. If you want to increase, decrease or change anything please confirm with us prior to ordering and we will be happy to assist you. Please use the comments box on checkout to describe your requirements. "Metric" measurements only please. Any Imperial measurements can cause inaccuracies in production and may not meet your expectations. Learn more about our made to measure beds. Rest assured we will be in touch if any details need clarifying.